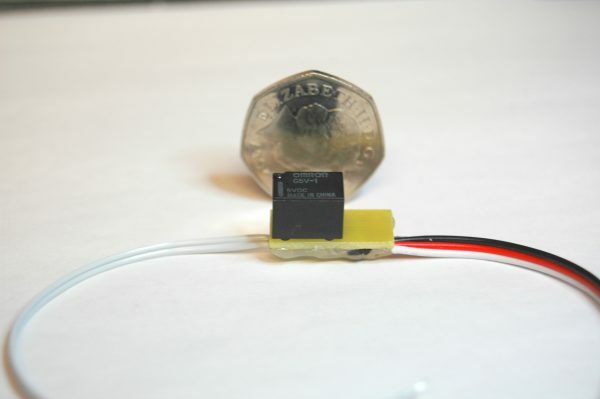 The Ultra Micro Relay Switch is a very small relay switch for occasion where the single relay switch is still to big, it has a set of normally open contacts rated at 1 amp. Plug the relay units lead in to channel have chosen to use and wire up the grey leads in line to the item you wish to switch on and off. 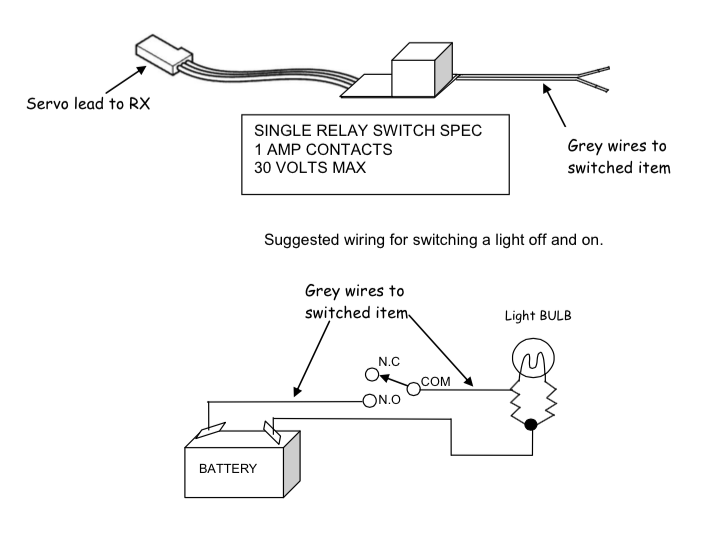 In operation you will find that the relay switch will operate around two third of the stick movement or in the case of a switch channel at one switch state. When using the switch with electric motors always fit a suppression capacitors to stop contact arcing. If suppression is not fitted the life of the contacts will be much reduced. Where possible measure or work out the current of the load to be borne by the switcher, as the relay contact will only stand 1 amps. Any switchers returned with burnt out contacts will be considered as damaged outside the warranty. In general the switcher can be employed to switch lamps on and off, operate cameras with power wind, trigger flares, electric motors etc.